The holidays have passed and the winter doldrums may be setting in — but not in your library! Keep teens’ minds off of the cold weather by challenging them to make their own crossword puzzles, create push pin poetry, and even try their hand at scriptwriting on National Screenwriter’s Day. 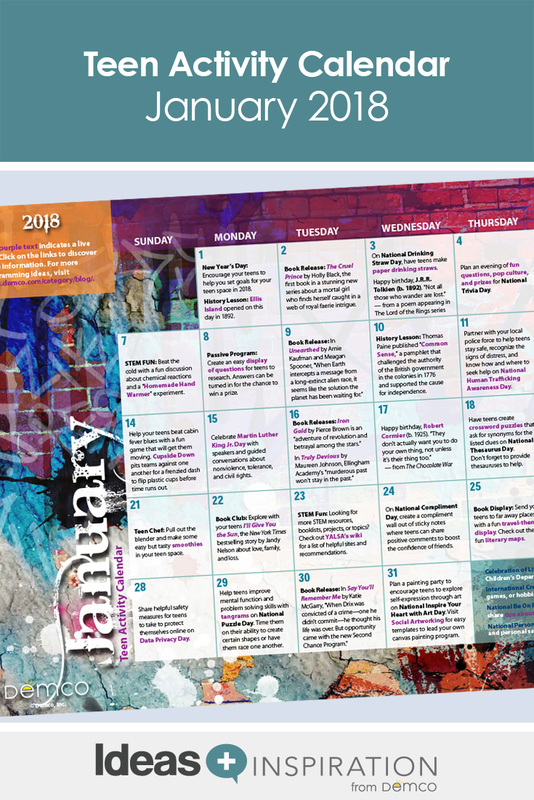 You’ll also find ideas for tasty recipes, engaging new books, and much more in the January Teen Activity Calendar. 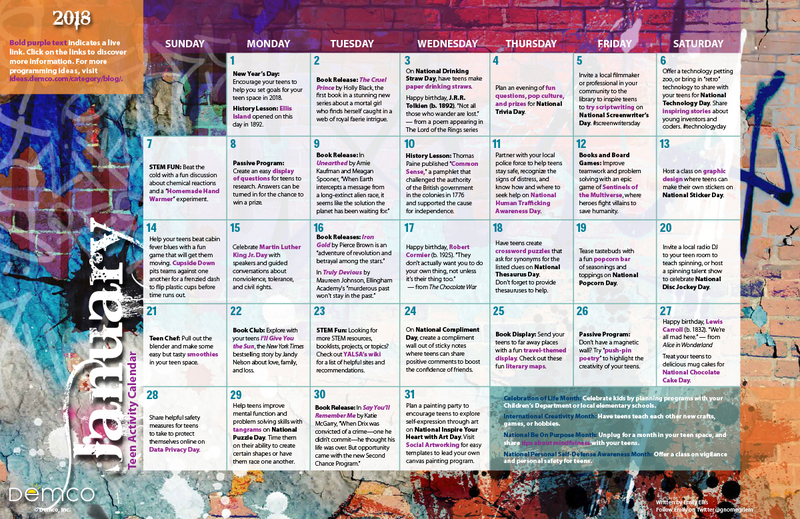 Download a printable 8.5″ x 11″ version of the January calendar. Download a printable 11″ x 17″ version of the January calendar.